As Groundhog Day approached, we at the farm made gleeful jokes about whether our beloved yet feisty farm cat, Moggie, would see her shadow on February 2nd. 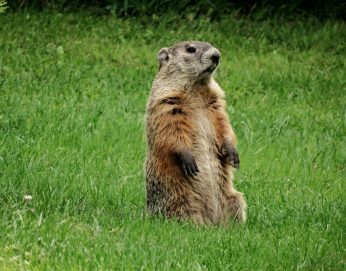 According to Punxsutawney Phil, we are destined for an early spring. Based on the current temperatures, that has us worried. Mid-70s weather in February is not a friend of agriculture and sets all living things up for a rough ride this spring. Though Moggie was not interested in making weather predictions, many gardeners and farmers plant and tend their crops in accordance with The Farmers’ Almanac, the moon cycle, or the principles of biodynamic agriculture, to name a few. As farmers, staying in tune with the rhythm of nature is critical. Not only can it stir our souls with the beauty of its gradual changes, it is necessary to observe the season’s unfolding closely in order to take small advantage or guard against its vagaries as best we are able. Farming is a collaboration with Nature, and she always has the upper hand.